The light quality and long-term performance of LED lighting — from some manufacturers — is improving rapidly. An LED fixture with excellent light quality. 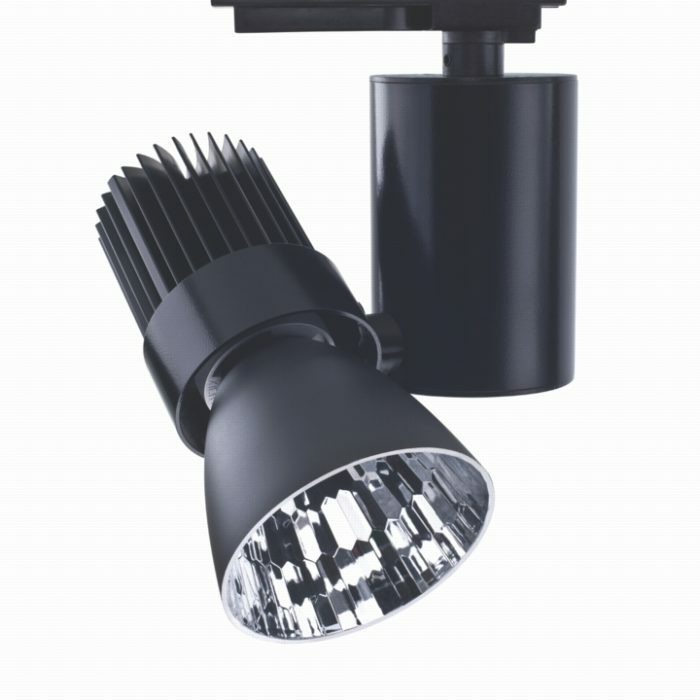 This LSI LumeLEX 2024 light fixture from Lighting Services Inc. features the Xicato LED Spot Module, which provides heretofore unavailable light quality from an LED light source: a CRI up to 98 and excellent color consistency. 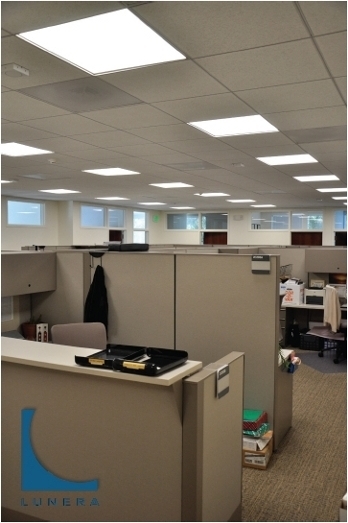 Image Credit: Lighting Services Inc The Xicato LED Spot Module uses remote phosphor technology and a modular design to provide high-quality light and fast, easy assembly by fixture manufacturers. The LED module needs to be coupled with a heat sink, reflector, and LED driver, all of which are shown in the previous photo. Image Credit: Xicato Lunera 2200 two-foot by two-foot lay-in ultra-thin LED light fixture for ceiling grid applications to provide area light. This fixture directly replaces fluorescent lighting. I’m just back from Chicago, where I was attending the Greenbuild Conference of the U.S. Green Building Council. Despite the weak economy, some 27,000 architects, builders, developers, and manufacturers gathered for this 9th annual conference. At Greenbuild, I moderated an interactive session looking at “hype vs. reality” with LED lighting. Indeed, there is a lot of hype out there (more on that below), but the bottom line is that there are some amazing products coming onto the market. By way of background, LED lighting (LED for “light-emitting diode”) is the future of electric lighting. These highly concentrated light sources rely on semiconductor materials to convert electric current directly into light, without heating up a metal filament, as occurs with incandescent lights, or passing an electric arc through mercury gas, as happens with fluorescent, metal halide, and high-pressure sodium lights. First, it’s much more efficient than incandescent lighting. We refer to lighting efficiency as “efficacy” and measure it in lumens of light output per watt of electricity consumed. Incandescent light bulbs have efficacies of 10-15 lumens per watt, while compact fluorescent lamps (CFLs) come in at 50-70 lumens per watt (lpw) and tubular fluorescent lamps produce as much as 100 lpw. Most LED light sources today deliver 35-60 lpw, though a few exceed 80 lpw. Thus, even though it’s often touted as more efficient than fluorescent lighting, most LED lighting today actually has lower efficacy than the best tubular fluorescent lights. Second, LEDs avoid the mercury that used in fluorescent, metal halide, sodium, and mercury-vapor lamps. Mercury is a highly toxic heavy metal; when older fluorescent, metal halide, sodium, or mercury vapor lamps are discarded, there is risk that the mercury in them can escape into the environment — especially if municipal solid waste is incinerated. Third, well-engineered LED lights last a long time. They can last over 50,000 hours — 50 times as long as standard incandescent bulbs, five to ten times as long as compact fluorescent lamps (CFLs), and two to four times as long as linear fluorescent lights. In the session I moderated at Greenbuild, representatives from two of the leading companies in the LED lighting field talked about the state-of-the-art in LED lighting and the issue of hype vs. reality. The Silicon Valley company Xicato is now producing a modular LED light source that relies on “remote phosphors” to achieve remarkably high-quality light. 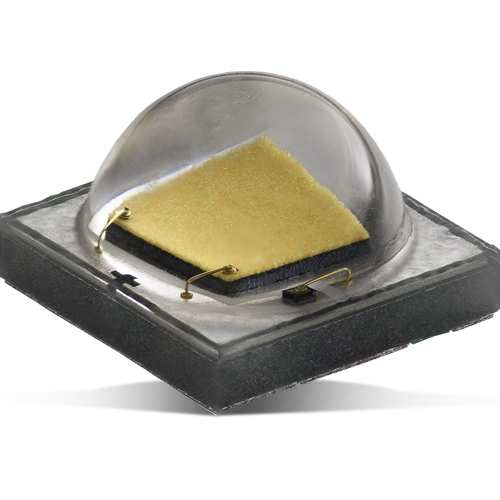 These Xicato light modules have a “color rendering index” (CRI) as high as 98 (on a scale of 100) — virtually the same as the highest-quality halogen incandescent lamps. They also produce remarkably uniform white light. 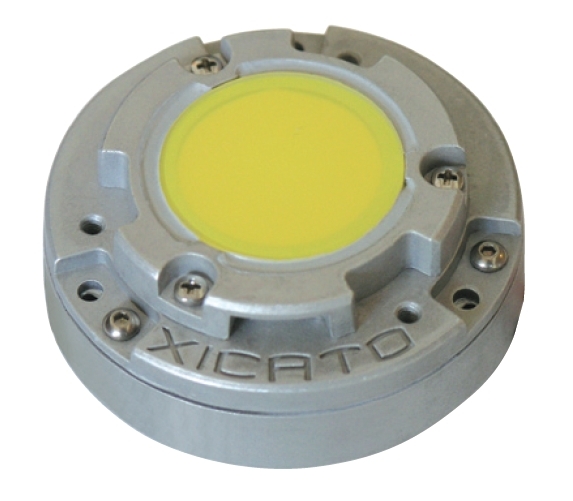 White LEDs often vary from yellowish to white, and that variability is much lower with the specifications Xicato uses. The company sells the LED modules to fixture manufacturers, which then produce finished light fixtures that use this light source rather than halogen MR-16 lamps. The other company represented in this conference session was Lunera, a manufacturer of a flat-panel LED light fixtures that can be installed in place of standard tubular fluorescent fixtures to provide general illumination. These fixtures are highly controllable, very uniform, and reasonably energy-efficient (though not as energy efficient as tubular fluorescents). One of the most difficult things about choosing LED lighting today is the fact that you can’t always trust manufacturer claims. Some manufacturers measure the efficacy of their lamps after they have just been turned on and before they heat up, yielding unrealistically high estimates of efficacy. Some manufacturers also do a poor job at dissipating heat from LEDs. If you don’t see aluminum fins on an LED light source, heat may build up shortening the life. I installed one reflector-type screw-in LED lamp several years ago that failed after less than two years — probably after no more than 1,000 hours of operation. This was likely due to heat build-up affecting the LEDs or the LED driver that delivers electricity to the LEDs. The best way to ensure that an LED light source is going to achieve the manufacturer’s claims about performance and durability is to look for evidence of independent testing. 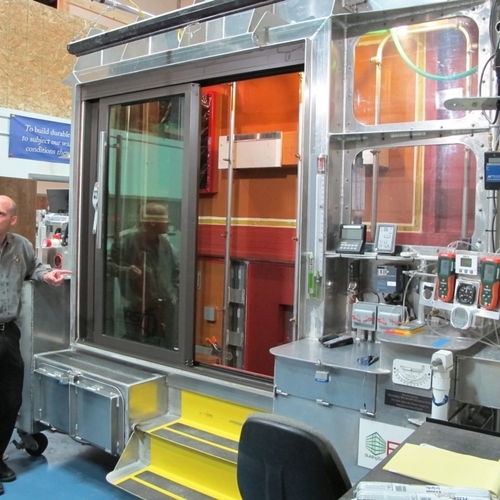 Some manufacturers have their products tested through the U.S. Department of Energy’s CALiPER program and can provide measured test results. Energy Star labels on LED lights also provide evidence that the lights have been independently tested, though there are not yet many products carrying the new Energy Star label for LEDs. Cost also remains an impediment with LED lighting. High-quality LED lights are pretty sophisticated, and you have to pay for that. Cheap LEDs, priced at less than about $20, may not perform well. Like computer chips used in computers, though, costs of LEDs are coming down — and will continue to do so. I fully expect that within ten years — maybe sooner — LED lighting will be cost-competitive with fluorescent lighting and provide better light quality. 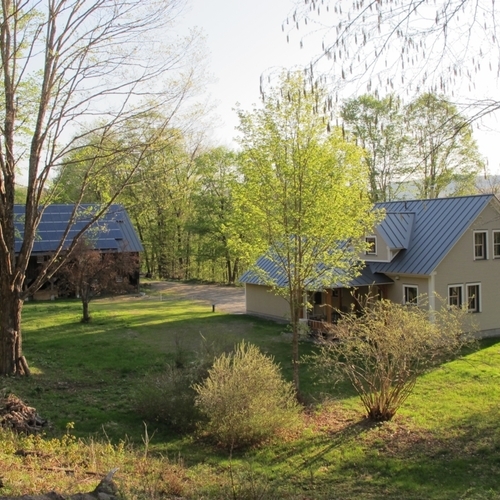 In addition to this Energy Solutions blog, Alex writes the weekly blog BuildingGreen Product of the Week, which profiles an interesting new green building product each week. You can sign up to receive notices of these blogs by e-mail — enter your e-mail address in the upper right corner of any blog page. Thanks for the update Alex. We've been waiting with baited breath for the truly useful stuff to arrive, for the mainstream and not just for enthusiasts; guess we have a while longer. One thing to mention is that directional fixtures (like MR-16 substitutes) will probably be cost-effective earlier than general illumination sources, especially as CFL's do not excel in this area. Thanks Alex -- this is good news indeed, or at least that's what I think about when I hear of progress. And congratulations to you on your award. I've read your articles for years and have always learned something useful, positive, and as objective as possible. I'm glad your peers appreciate the contributions you've made ... so far. Lol. Electromagnetic frequency is an understated "pollutant" for many sensitive individuals and unfortunately of CFL's. It dosen't affect most people unless your prone to migraines, then it matters greatly. Not much coverage is given regarding LED's as to whether they contribute to higher EMF's relative to CFL's. The leap to LED's would be fantastic if the EMF's are reduced. Anyone aware of information related to this? I think the computer chip comparison at the end of this post was very apropos. I worked in the outdoor LED sign market for several years and even in that far less sophisticated world of LEDs, the technology was moving rapidly and the cost was in decline. With the demand for this technology and the potential, I think we'll see costs drop in the very near future. I check out the latest LED lights whenever I come across them. They all seem to feature heat dissipating fins. Heat fins shout "look at me waste power making heat"
As long as I see those fins, I'll continue to conclude LED's are not ready for prime time. You're right -- LEDs produce a surprising amount of waste heat, which is a clear sign of their inefficiency. Hence the ubiquitous fins. Although I know that most of these lamps are less efficient than CFLs, I'm still tempted to buy the occasional lamp to see how the industry is progressing. I recently bought a $40 LED downlight at Home Depot -- the EcoSmart PAR 30 lamp. The label claims 725 lumens for 15 watts -- in other words, 48.3 lumens per watt. I haven't seen any third-party verification of the lumen output. A lot of CFLs are more efficient, but this lamp gets close to CFL efficiency. It puts out a nice intense white light -- a directed beam that could be a good task light for a kitchen counter or desk. Kurt is Right re Fins and waste. You hit the nail on the head - Led lamps that have fins are in general - GARBAGE. consumers- The solution you may not know about is - Quality SSL that use Ac/ Leds. Citizen and there are more each month ,Its ultimately about innovation(R+D / IP) most don't get it yet! money , buying Quality Leds requires money and the ability to discern what constitutes quality! SSL industry are counting on more people making better choices & helping raise the quality bar! Like all light sources, LED sources slowly fade over time. This light output degradation, or lumpen depreciation, is determined by testing LED sources over a period of 6,000 hours or more. 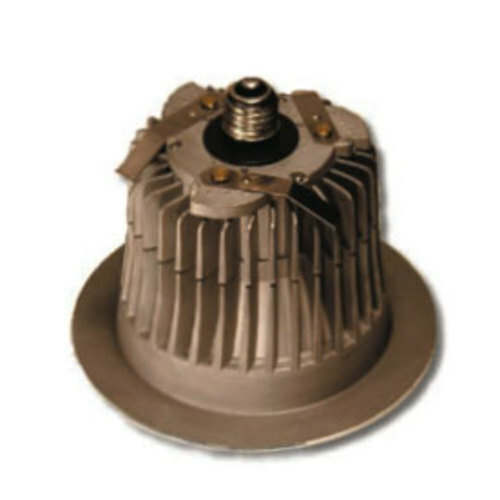 Factors that can cause lumpen depreciation include drive current and heat generated within the device itself. Lumpen maintenance describes how long a lighting fixture retains a certain percentage of its initial light output. White light sources used for general illumination are commonly considered to be at the end of their useful life when their light output falls below 70% of initial output. For white and colored accent and non-task lighting, the lumpen maintenance threshold is often considered to be 50%. 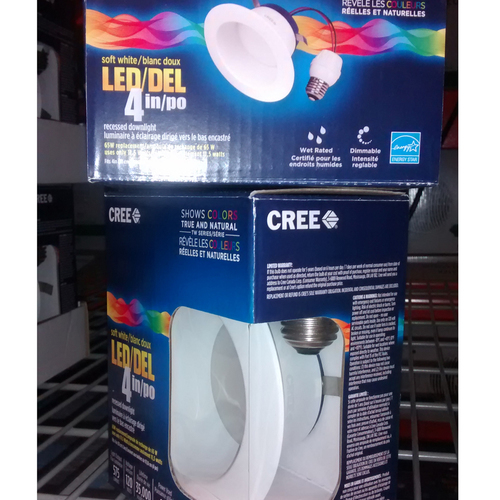 I just installed 8 each 60 watt equivalent Cree bulbs, on sale about $8 each from HD, in my master bath. 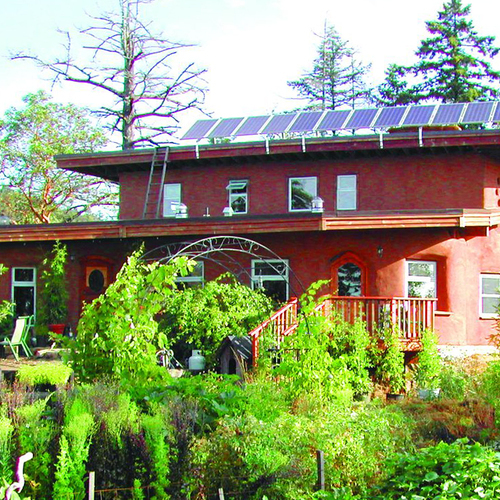 My avg KWH cost in CA, in winter based on blended Tier rates, is 15 cents per KWH. Summer is about 20 cents per KWH These lights are on minimum 2 hours per day. 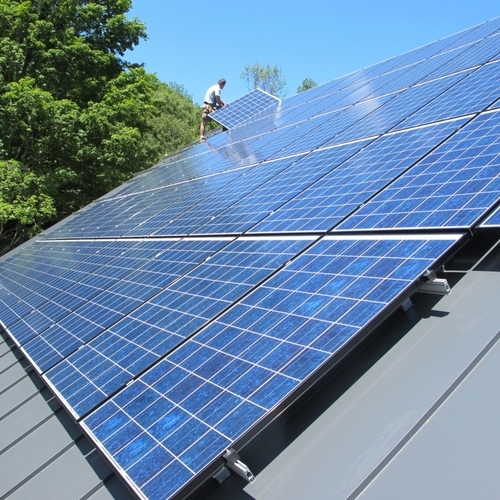 Reducing the load from 480 watts to 80 watts saves approx $4 per month. So the ROI period for LED is about 16 months, far better than most green initiatives. As technology and prices improve so will payback time. Reducing my carbon footprint immediately is also a plus. The LED quality of light is superior to incandescent and CFL, in my opinion, and they come on full strength instantly. Taking advantage of price opportunities I am converting and expect to be 100% LED in my living space by year end. 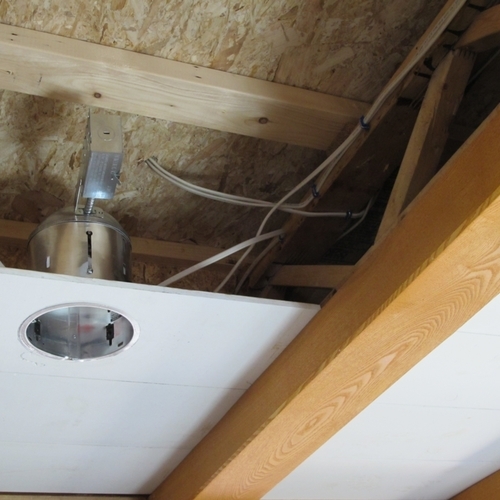 My garage , horse barn, and exterior spots are all CFL, which are fine for those applications and have been very reliable.